Sale of India's specialty tea varieties from exclusive estates in Assam and Arunachal Pradesh are on the rise in the domestic market, and sought after in overseas markets too. 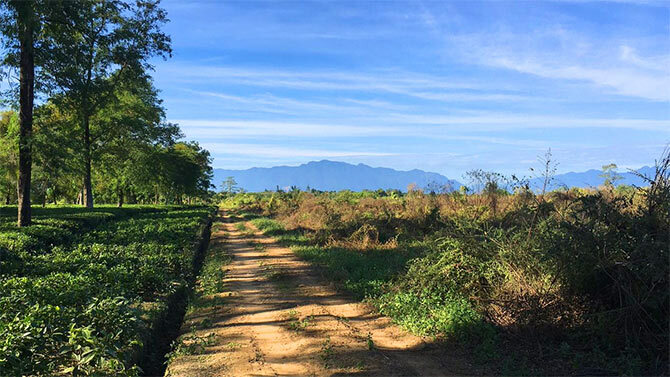 Mokalbari Tea Estate, situated on the south bank of the Brahmaputra river, upper Assam, offers an orthodox variety of tea that today fetches Rs 8,100 per kilo. 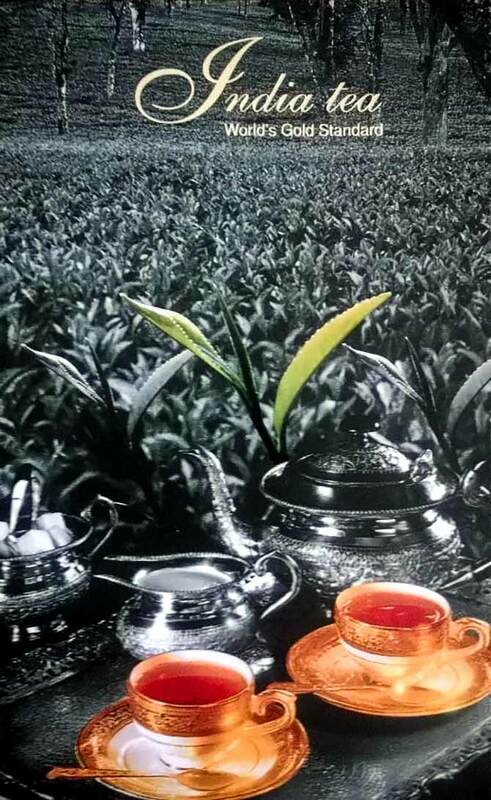 Photograph: Courtesy Mokalbari Tea Pvt Ltd/Facebook. 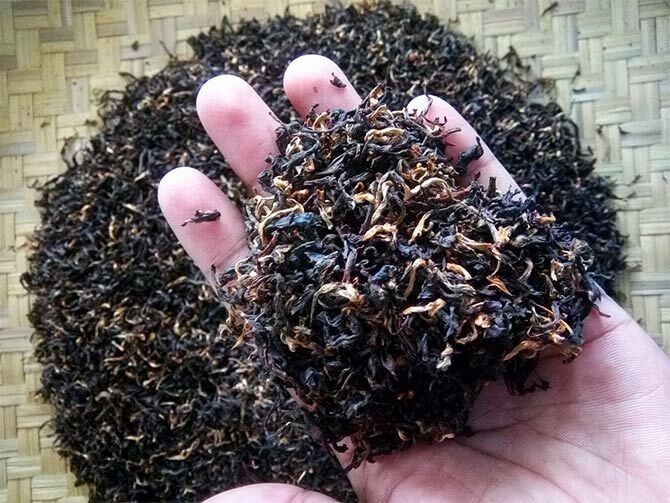 The marginal increase in the prices of crush tear curl tea, produced by a process in which black tea leaves are run through a series of cylindrical rollers, has prompted tea growers to increasingly shift towards production of specialty tea, which fetches steep prices both in the domestic as well as international markets. 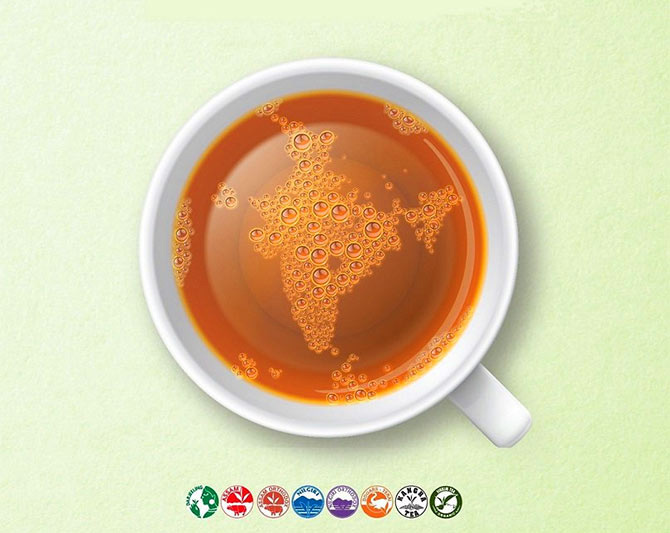 India produces 22 percent of the world's tea, the largest producer after China. But nearly 70 per cent of output is consumed by Indians, with more and more exotic teas also being introduced into the domestic market. Photograph: Courtesy Twitter. Auction centres are also easing their norms to promote such sales. Tea is the cured leaf of the Camellia sinensis. 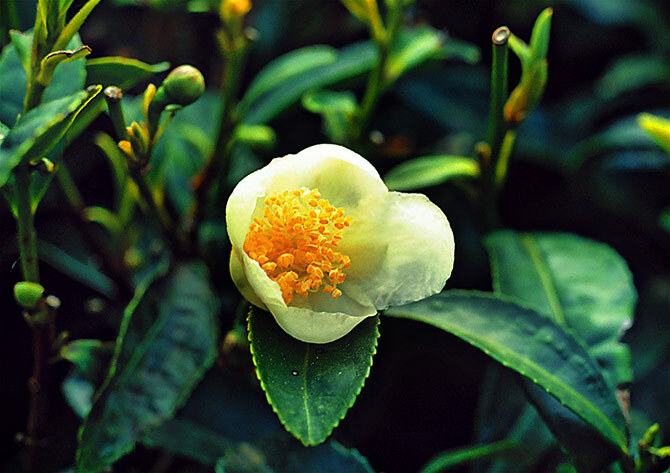 The rarely-seen flower of a tea plant is called a camellia. Generally tea bushes are pruned so the flowers never come up. Photograph: Courtesy @teaboardofindia/Twitter. Recently, a 1.1 kg of Golden Needle, from Arunachal Pradesh’s Donyi Polo Tea Estate, fetched an exorbitant price of Rs 40,000 a kg, while Gold tea from Manohari Tea Estate in Assam was sold at Rs 39,000 a kg at the Guwahati tea auction. Assam and Arunachal Pradesh teas are currently fetching some of the highest prices of tea in the world. Britain's Prince William and his wife Catherine, the Duchess of Cambridge, visited an Assam tea plantation when they came to India in 2016. 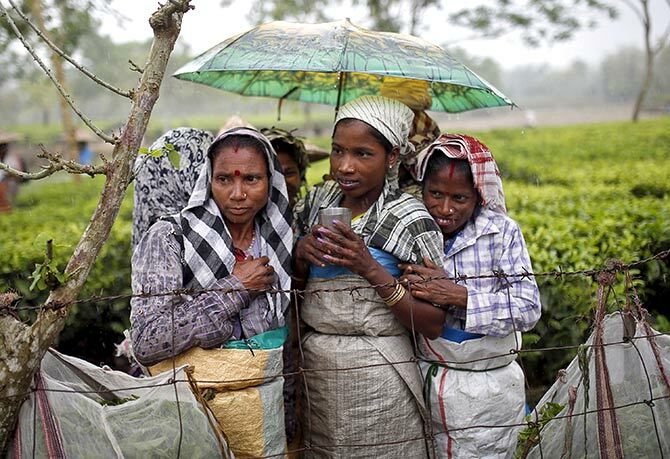 Photograph: Biju Boro/Reuters. Earlier, orthodox tea varieties (hand-processed tea) from Mokalbari Tea Estate, in Assam's Brahmaputra valley and Dikom Tea Estate, situated on the Sessa river, a tributary of the Brahmaputra, were sold at Rs 8,100 and Rs 12,000 per kg, respectively. 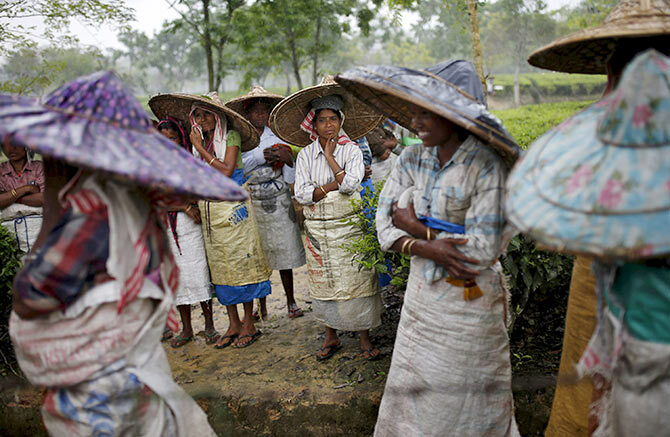 Tea workers in Assam wearing traditional jappi hats that protect them while plucking. More tea is consumed than any other beverage in the world. Tea consumption is roughly equal to consumption of chocolate, coffee, soft drinks, and alcohol combined. Photograph: Ahmad Masood/Reuters. Specialty tea varieties fetch lucrative prices every year in international markets like Iran, Germany and Japan. In August 2018 Golden Needle, from Arunachal Pradesh’s Donyi Polo tea estate, sold for Rs 40,000 for 1.1 kilo. Photograph: Courtesy Absolute Tea/Facebook. Most of Darjeeling specialty tea varieties are sold to foreign buyers privately, and not via auction. 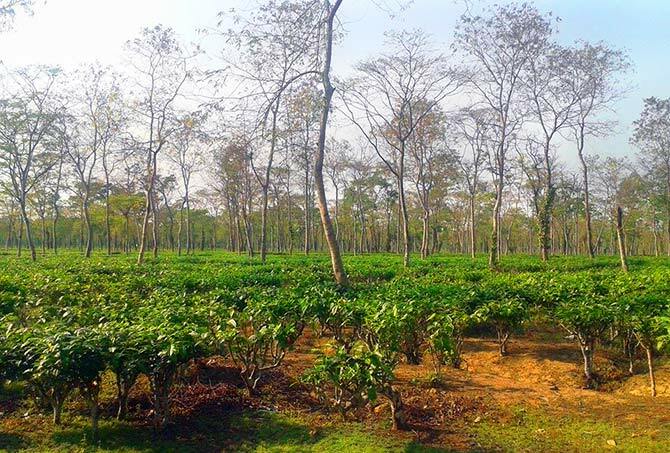 The first English tea garden began in 1837 in Chabua, upper Assam. Photograph: Courtesy @teaboardofindia/Twitter. 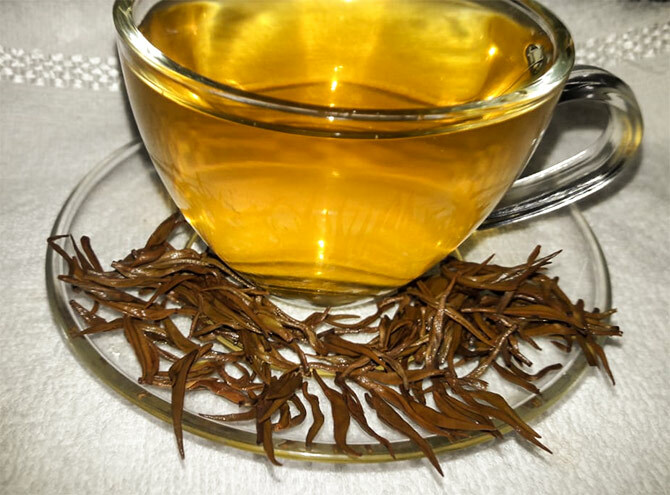 The Golden Needle and Manohari Gold varieties are sold to Indian buyers like Assam Tea Traders and Saurabh Tea Traders of Guwahati for supply in Delhi and Ahmedabad, respectively. Tea was initially consumed in southwest China as a medicinal drink. Photograph: Ahmad Masood/Reuters. Dinesh Bihani, secretary at the Guwahati Tea Auction Committee, said such varieties would be sold in the domestic market only as tea connoisseurs, willing to pay a hefty price for quality, were on the rise in India. 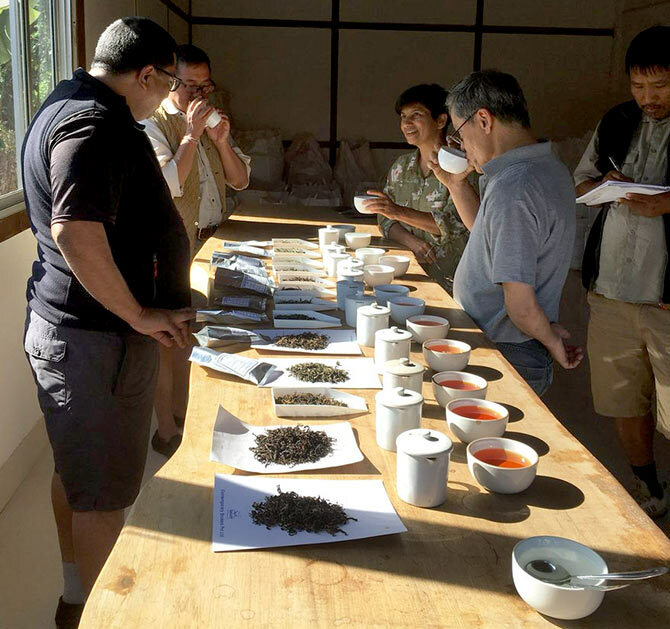 Buyers sampling tea at Donyi Polo Estate, Arunachal Pradesh. Photograph: Courtesy @NuxalbariTea/Twitter. Azam Monem, chairman at the Indian Tea Association said, "It is good for the industry if high quality tea gifting picks up in India. Such purchase have always been prevalent in Japan, China. 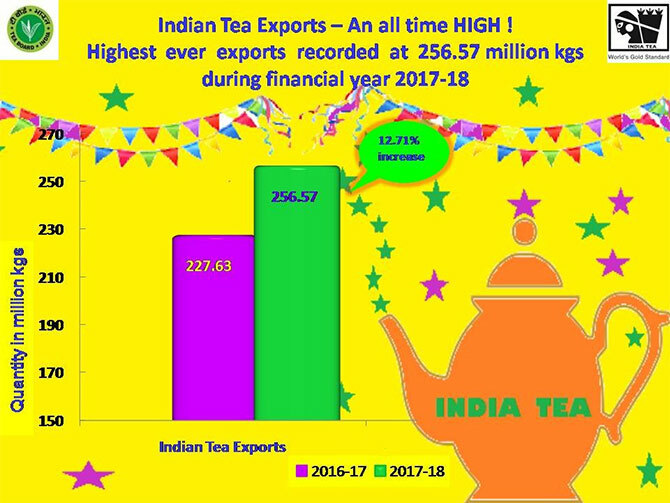 Now, if this trend picks up in India, it will not only good for this niche market, but also prove India's prowess to produce such high-end tea." When tea drinking became fashionable in the 17th century, the British introduced its cultivation in India so they would not have to depend on China for tea. Photograph: Courtesy @teaboardofindia/Twitter. Bihani added, "The small tea growers from Assam are increasingly shifting towards production of such exquisite tea varieties and the Guwahati Tea Auction Committee has eased norms so that these tea producers can find a better market in the country itself through the auction route." One thousand workers maintain Donyi Polo Estate in Pasighat, East Siang, Arunachal Pradesh. 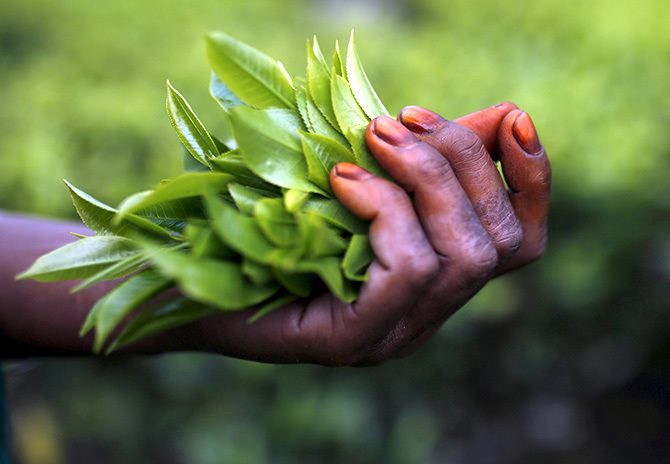 But 87 of the estate's workers have been trained in specialty tea production that has made the estate famous. Courtesy @NuxalbariTea/Twitter. Against the earlier requirement of putting up a minimum 500 kg of tea for listing in the auction catalogue, the auction committee has now eased it to only one kg for the small tea gardens listing such specialty varieties in the auction catalogue. Besides, the bigger producers need to pay ~21,000 as the registration fee. 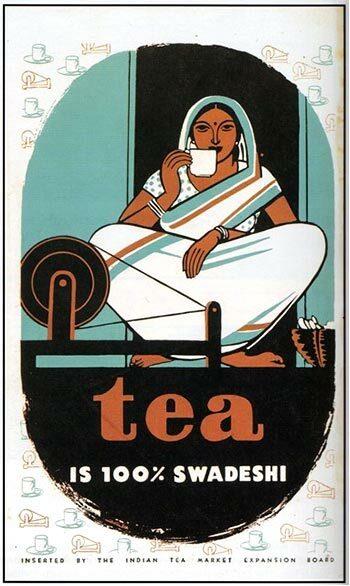 A poster made for the Indian Tea Market Expansion Board, 1947. Photograph: Courtesy Indian Tea Market Expansion Board. The small tea gardens are required to pay Rs 1,000. Tea coolies being paid by a British planter in Assam. Photograph: Courtesy Bourne and Shepherd. "Such moves have encouraged more and more small tea gardens to list on the auction centres," he said. On the other hand, the tea board has also eased its upper cap of sale prices for premium orthodox tea from Rs 20,000 a kg to Rs 40,000 a kg. A part of the Mokalbari tea estate. The company owns three estates. Some 800 hectares area of these estates are under cultivation for tea. The estates together produce 2 million kg annually with a 1,600 strong work force. 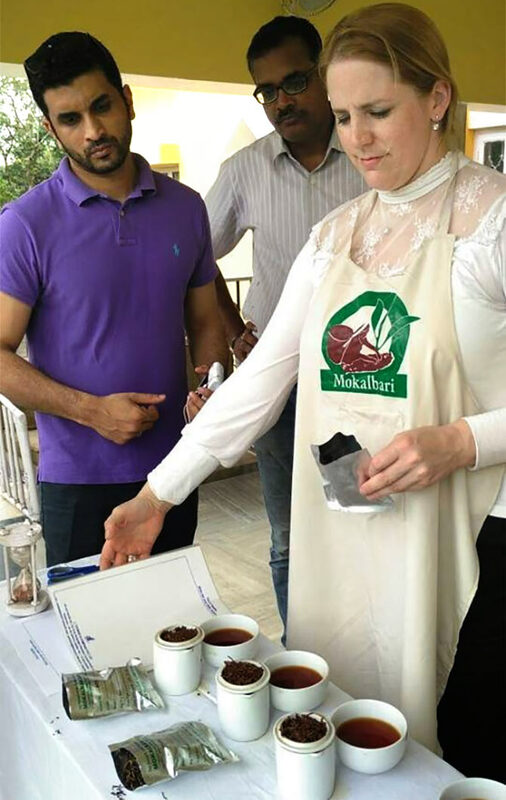 Photograph: Courtesy Mokalbari Tea Pvt Ltd/Facebook. Bijoy Gopal Chakraborty, president at Confederation of Indian Small Tea Growers Association said the trend towards the production of organic, high quality and boutique teas started three years ago, after some small tea gardens realised that they cannot rely on production of usual CTCs which isn't remunerative. 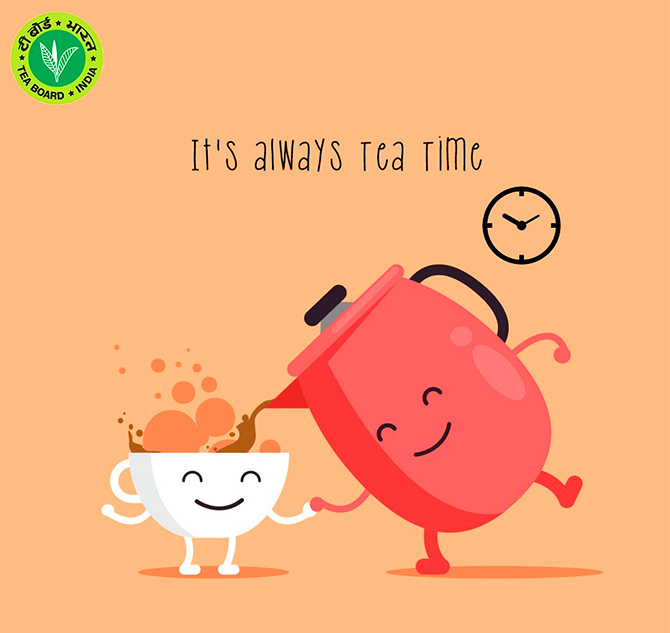 The introduction of tea into India, by stealth, is credited to a British grower named Robert Fortune who had 20,000 plants smuggled in from China and even some labourers too. Till then the Chinese regarded tea as the property of the emperor. Photograph: Courtesy @teaboardofindia/Twitter. "Besides, like Darjeeling, tea from Meghalaya, Arunachal Pradesh, Mizoram and Manipur have an inherent aroma, all these are hilly areas and if they can cultivate the right variant at the right altitude, provided weather conditions are optimal, these can fetch excellent prices," he said. 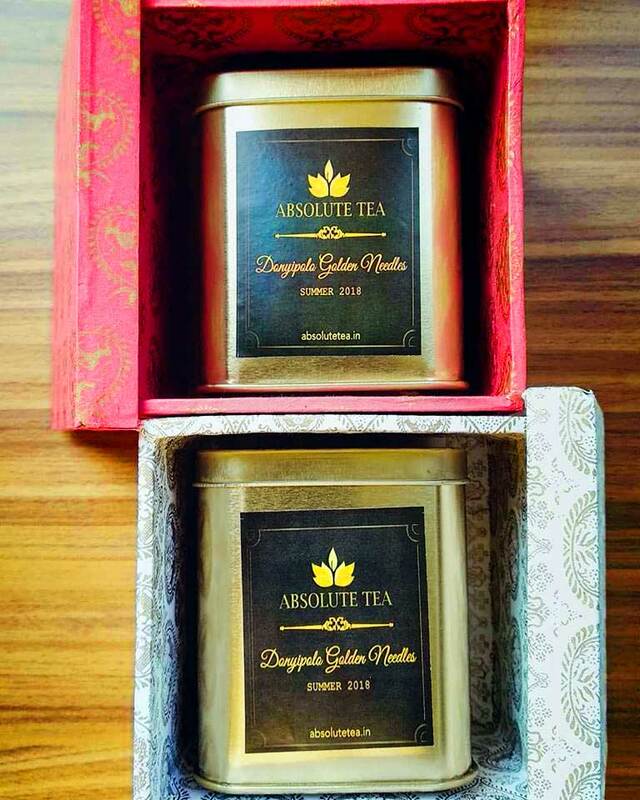 A look at the Golden Needles tea from Donyi Polo, Arunachal Pradesh that sold at Rs. 40,000 per kg at Guwahati Tea Auction Centre on August 23, 2018. Photograph: Courtesy @teaboardofindia/Twitter. Bihani said the problem with the small tea gardens were exposure to the market, which various auction centres and the tea board were addressing. Various schemes such as orthodox incentive, a special North-East package and others have been rolled out and buyers across India can participate in the auctions. Leaves from Dikom Tea Estate, situated in Assam on the Sessa river, a tributary of the Brahmaputra, sold for Rs 12,000 per kg. Photograph: Courtesy: Shyamalima Rajkhowa/Facebook.com. 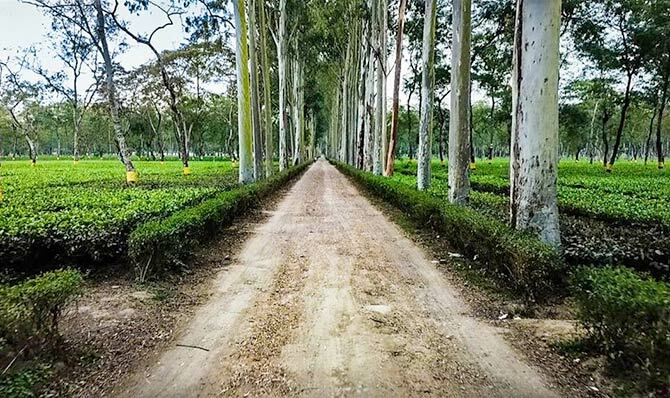 Industry sources suggested that while in Assam, there are around 850 tea estates and another 0.1 million small tea gardens, only 150 gardens and around 200 small tea gardens cultivate quality orthodox varieties, including the specialty ones. The Tea Board of India controls India's tea trade looking after production, certification, exportation and other aspects. Photograph: Courtesy @teaboardofindia/Twitter. On an average, quality orthodox varieties fetch anywhere between Rs 250 and Rs 500 a kg when under the hammer, while standard CTC fetches 130-140 a kg. A sample of exotic tea available at Manohari tea estate. 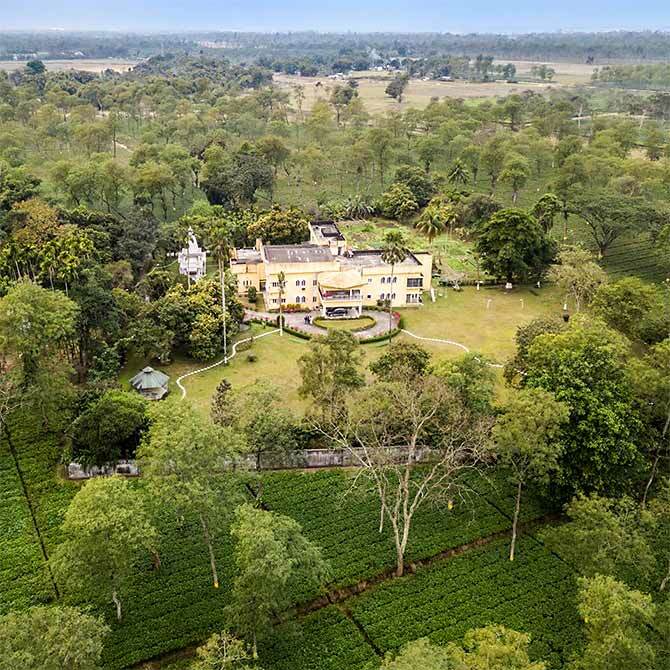 This estate's tea also fetched prices making it the second most expensive tea sold at the Guwahati auction in 2018. 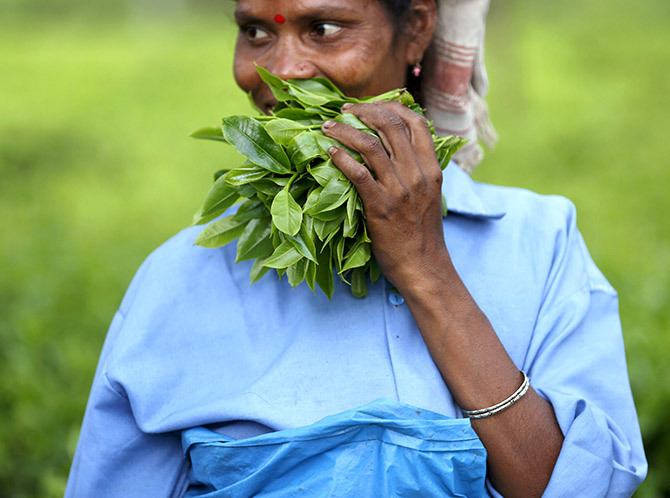 Photograph: Courtesy Manohari Tea Estate/Facebook. The tea companies for long have been complaining about stagnant or low increase in tea prices, which may render production not viable. On the other hand, brokers and buyers point out that the prices would "always depend on quality". Tea gardens in Assam apparently do not follow Indian Standard Time. From the British era they have been observing Bagan Time, which is one hour ahead, to make use of the early sunrise in the east of our country. Photograph: Ahmad Masood/Reuters. Against a total sale of an estimated 200 kg of such boutique varieties from January to August last year, via the auction route, 300 kg of the same varieties have been sold in the same period this year. Your favourite cup of tea could be in trouble! 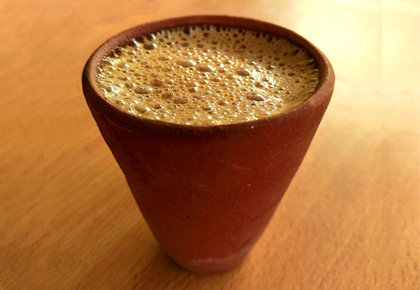 Coffee vs chai: What do Indians like?